Remove hair down there with the Nad Brazilian and Bikini Wax kit. No strips required. The hard wax formula has been specifically designed for coarser hair like the bikini area. 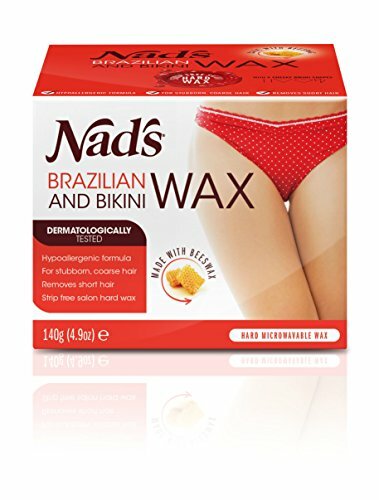 Nad Brazilian and Bikini Wax has sensual mango and peach scent, gives clean and smooth results for weeks. Bare all or try something a little different with four specially designed templates to personalise your intimate region. With regular use, hair growth is progressively slowed downed.